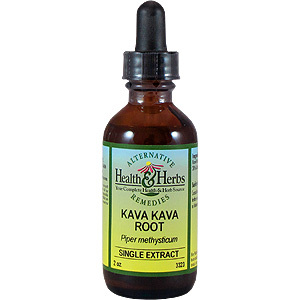 Kava Kava Root is an antispasmodic, sedative, antiseptic, and diuretic. KAVA KAVA ROOT (Piper methysticum) Excellent for insomnia and nervousness as it will invoke sleep and relax the nervous system. Use for pain associated with nerve or skin diseases. It relieves stress after injuries. The plant works by first stimulating the nervous system, and then depresses it. It is also a urinary antiseptic and anti-inflammatory, thus useful for cystitis and prostatitis. May be used in the treatment of rheumatism and gout. Externally used in liniments as an analgesic. For anxiety, stress, insomnia, muscle tension. 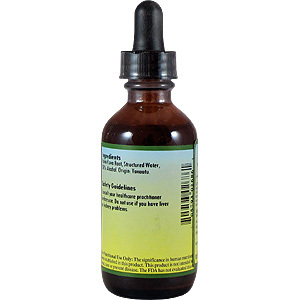 Use 6-12 drops in juice, water, under the tongue or as desired. May be taken 3 times daily. Shake well. Store in cool dark place. Keep out of reach of children. WARNING: Can cause liver damage. Kava Kava Root, R/O Water, 12% Alcohol. Kava Kava Root is shipped in a discrete, unmarked package. Orders are processed immediately and usually take about 3 to 5 working days to be received. Any information received is used only for order processing and shipping purposes. Your information, such as e-mail address, will never be disclosed to a third party.